5. The Candy Man, Sammy Davis Jr.
Heart of Gold by Neil Young, which came in at number 17. Enough of music. 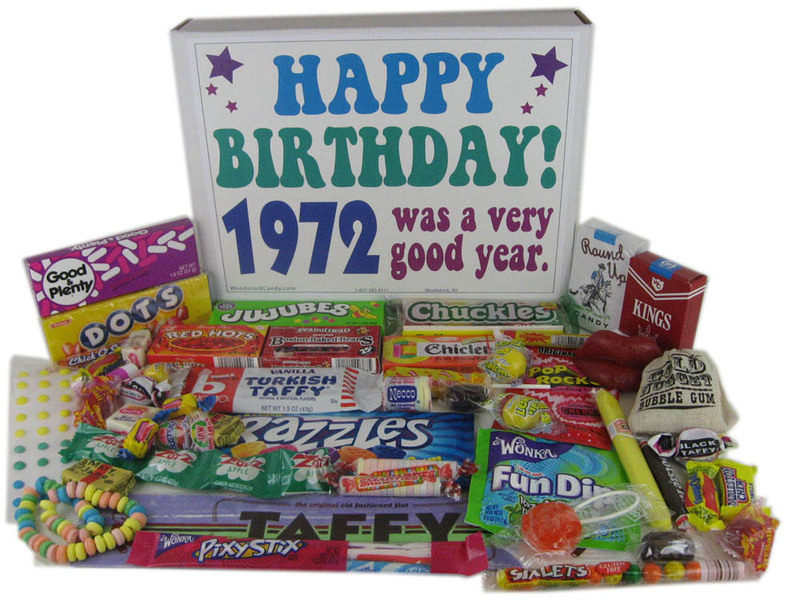 If you need a birthday present for a 40 year old, we suggest a box of nostalgic candy. This box has over forty different kinds of retro candy that they'll remember from childhood. This 40th birthday gift of nostalgic candy makes a great conversation piece, and everyone will love it.